Many references throughout the years warrant Deguisa as a company with quality and recognized experience coating and maintenance transfer and treating laddles. As these elements are more and more important in the foundry proces, Deguisa has optimized the coatings of each of the most used types of laddles, from the point of view of thermal losses and the life of the refractories. Likewise, Deguisa has developed repair techniques that represent a great optimization of refractory materials. Historically, Deguisa has trained the staff of the clients to improve the way of coating and repairing the casting laddles. In addition, Deguisa designs and manufactures precasted laddles that allow customers greater availability of the laddles thanks to its quick installations and improves safety and drastically reduces the drying time since the piece is delivered pre-dried. Also, Deguisa designs and manufactures different shaped parts such as spouts, walls, casting tubes, impact pieces or porous plugs. Deguisa offers our technical department for the coating and improvement of refractories. High yields with customized designs for each installation. Optimization of maintenance and repair practices that improve the life of the spoons and save a large consumption of refractory materials. Precast laddles that allow greater availability. Pre-dried shaped laddles with faster drying and lower risk at customer´s house. 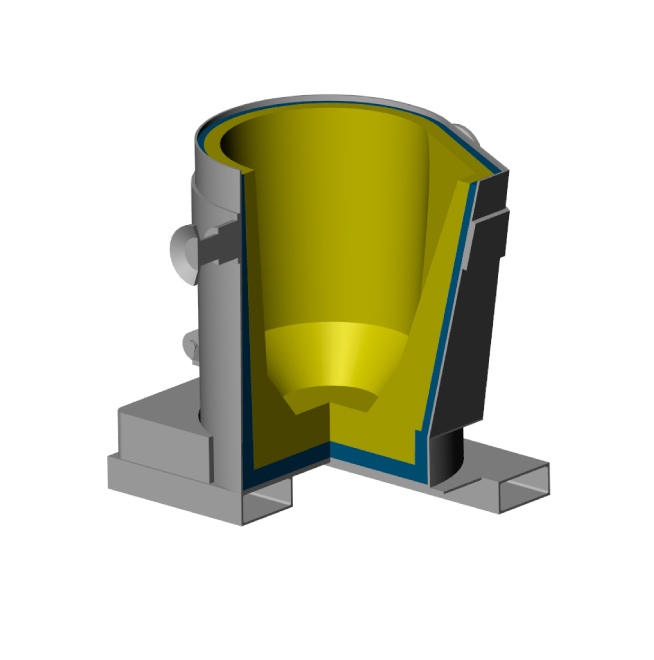 Do you need more information about Refractories for casting laddles or about other products or services? Send us your details and we will contact you.